Windows 10 is a great platform to runSharePoint. However, you might run into issues with SharePoint and Windows 10 browsers, Microsoft Edge and Internet Explorer 11. Depending on what you're doing in SharePoint, you may want to switch between Microsoft Edge and Internet Explorer 11. The default Internet browser in Windows 10 is Microsoft Edge. When you open a SharePoint page, it opens in Microsoft Edge and works well viewing sites, most apps, and other components. It's especially good at uploading files, as you can upload multiple files and folders to a document library using drag and drop or the upload button. 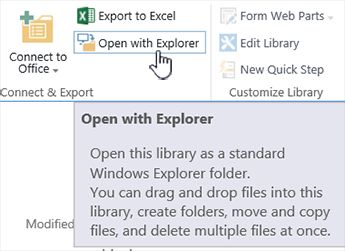 Microsoft Edge however, doesn't support opening a document library using Open with File Explorer. 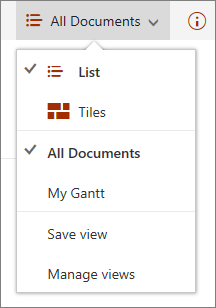 In SharePoint 2016 and SharePoint 2013, as well as Classic experience in SharePoint Online, the ribbon button will be grayed out in Microsoft Edge. 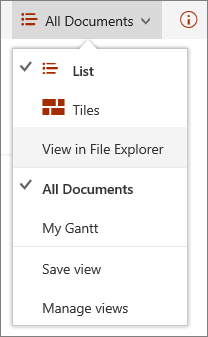 In SharePoint Online, the View in File Exploreroption will be missing from the Views menu. Note: The Microsoft Edge browser is designed to be periodically updated. With the Anniversary update for Windows 10, Microsoft Edge, drag and drop of files and folders was added. Make sure you have the latest version as features can change or be added. Get the free Windows 10 anniversary update here. Internet Explorer 11 also comes with Windows 10, but you have to launch it manually. Internet Explorer works well for most tasks in SharePoint, including opening a document library usingOpen with Explorer. Internet Explorer 11 allows you to upload files with drag and drop or the upload button, though you can't upload folders. You can work around this by either using Open with Explorer, or sync the document library to your computer. Either way, you use File Explorer on your computer to copy or move files and folders. Where <tenant> is your company's SharePoint name. For example, if you get to SharePoint via contoso.sharepoint.com, then replace <tenant> with Contoso. Your URLs will look like contoso.sharepoint.com, or contoso-my.sharepoint.com, and so forth. Once the browser opens, you can open SharePoint. If Microsoft Edge is your default browser, your session will stay in Internet Explorer 11 until you open a page from a link. New links open in the default browser, Microsoft Edge. 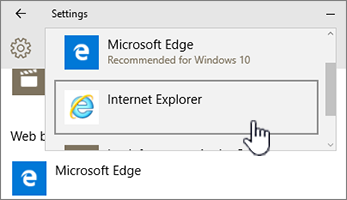 Type Edge, and then select Microsoft Edge. Under Web browser click Microsoft Edge, and then select Internet Explorer in the Choose an app dialog box. If you are switching from Internet Explorer to Microsoft Edge, click Internet Explorer under Web Browser, and then choose Microsoft Edge. Both Windows 10 browsers offer advantages, and having both at your fingertips can be handy. Follow these steps to put both Microsoft Edge and Internet Explorer 11 on the Taskbar at the bottom of your screen. Type Internet Explorer, right click Internet Explorer, and then select Pin to Taskbar. Type Edge, right click Microsoft Edge, and then select Pin to Taskbar.